Commercial Bay is coming and bringing with it a whole new energy to Auckland. 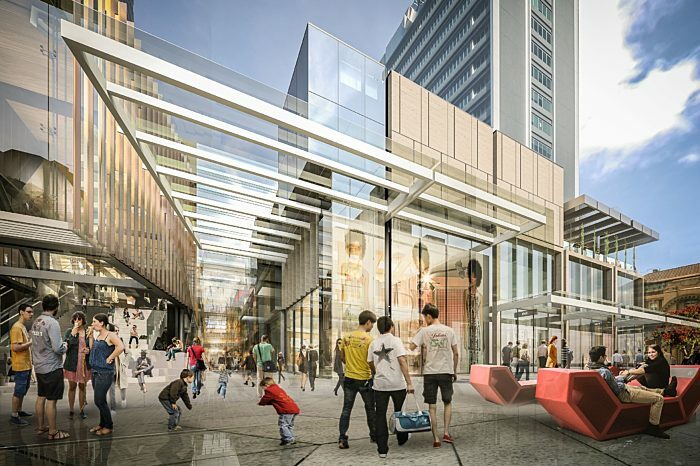 Bringing together the largest concentration of high quality retail and food and beverage in the city, a luxury hotel and the striking new PwC Tower, Commercial Bay is set to become the most transformational project Auckland has ever seen. Opening in September 2019, Commercial Bay will be a new and vibrant public precinct at the heart of Auckland. Commercial Bay encompasses the preeminent waterfront axis from Quay Street, Queen Street, Lower Albert Street and Customs Street, resurrecting the location’s original name. It embraces the best of the area's existing buildings and links them together creating a working population of 10,000 people. At the heart of Commercial Bay will be a stunning new 39 level office tower that will transform Auckland’s skyline. It will be anchored by PwC and be known as the PwC Tower. 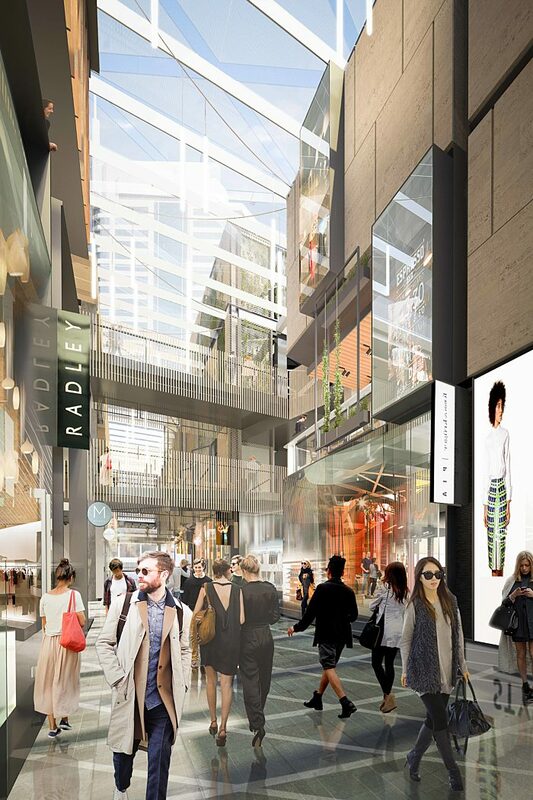 At the base of the tower sits a three-level retail precinct unlike anything Auckland has seen before. 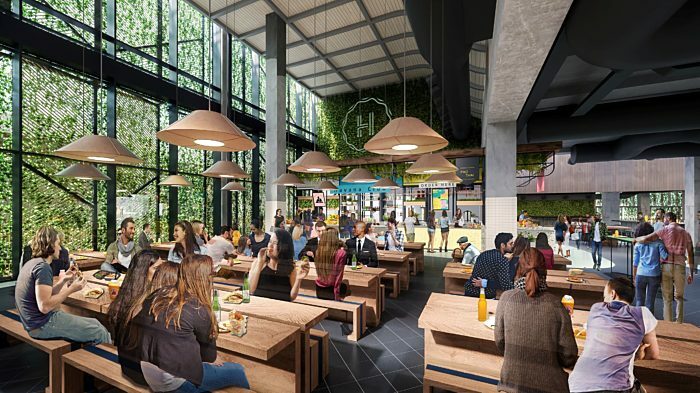 The laneway design will redefine retail in Auckland, with global flagship brands, diverse food and beverage and the highest concentration of quality retailers in one central, easily accessible location. NH Architecture from Melbourne was appointed as the retail architect and Woods Bagot based out of San Francisco was appointed as the commercial architect. To ensure we created a design that was international in its quality while also retaining local relevance and character, New Zealand architecture firm Warren and Mahoney are now the lead architects on the project. Other key partners in the delivery of Commercial Bay include Project Managers RCP and Fletcher Construction. Located at the heart of the Auckland waterfront, Commercial Bay will be a hub of business, retail and food and beverage bringing together over 10,000 people in one connected location. The PwC Tower at Commercial Bay. The PwC Tower at Commercial Bay represents the most significant evolution in premium workspace that Auckland has seen in decades. It will recalibrate how businesses think about work in the city. Watch: At the heart of an evolving Auckland. Stage two of Commercial Bay will see a $298 million development at One Queen Street (currently HSBC House). Comprising a luxury hotel, 8,700sqm of premium office accommodation across seven levels and variety of food and beverage options including a roof-top bar, this development truly expands the public amenity available at Auckland’s premier address. 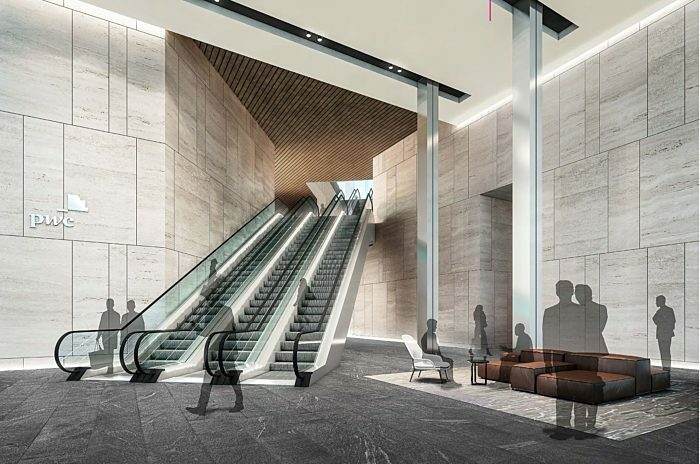 The new flagship hotel, InterContinental Auckland, managed and operated by InterContinental Hotels Group (IHG), will occupy 11 levels of the building and provide a total of 244 guest rooms and suites, together with a restaurant, meeting suites, health club and club lounge facilities. Positioned in an unrivalled location on Auckland’s waterfront, One Queen will complement the Commercial Bay lifestyle district, which is destined to become Auckland’s newest, shopping, dining and social hub. 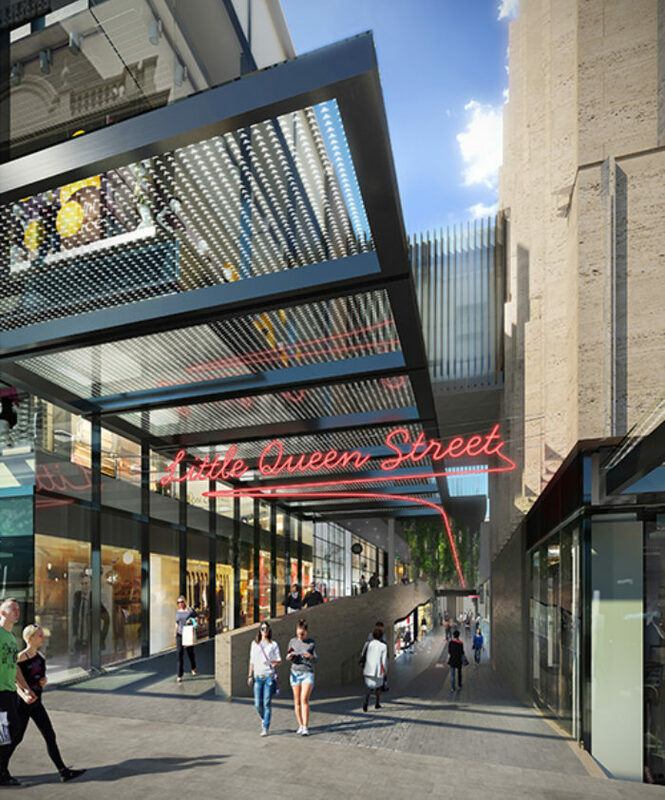 Works commence on One Queen Street in early 2020 and are anticipated to be complete in 2022.